As a volunteer-run club Kanata Nordic’s success depends on member contributions and involvement. It is expected that all members will commit to volunteer in some way through the season for a one-time or longer running volunteer commitment. Some programs, such as racing, will require a set volunteer commitment. Volunteering can be very rewarding and often you get back more than you put in. Rewards include new skills, new friends and contacts, personal pride and accomplishment, the opportunity to share knowledge and skills, being part of a community and, of course, just having fun. There are volunteer opportunities are available to suit everyone’s time, schedule and skill set. Fee-in-lieu of volunteer work: All adult members are expected to help the club operate through by volunteering. There are a range of volunteer opportunities throughout the year that can be done onsite or at home. Those who cannot contribute time can pay a fee-in-lieu of volunteering: $50 for family memberships, $35 for couple memberships, $25 for individual memberships. You can select this option at registration. Parents of athletes in the Racing Program cannot choose this option as the program need is too great. There are many volunteer tasks that take a modest amount of time and little to no experience. These include things like helping out at our Pretzel Race (handing out water to racers, working at the food table, collecting race bibs, etc. ), at our Ski Swap (helping fill out sales forms, putting up signs, etc. ), at our trail maintenance days (light-to-medium manual labour outdoors), helping to direct traffic to maximize our parking area for an hour at the start of ski lessons, and many more. For these tasks we generally send out a club-wide email when the help is needed and you simply respond to that. Now that Kanata Nordic has rental equipment, we require several volunteers to enable us to have the ski shop open at popular trail use times, such as on weekends and some evenings. Skills Needed: Basic knowledge of ski equipment and the difference between skate and classic techniques; familiarity with the Kanata Nordic trail network; basic administration skills (filling out forms, purchase transactions); previous retail experience is ideal. Task: Staffing the ski shop at 411 Corkstown Road (near the main cabin) for shifts of 2-4 hours; can be one time or several times; training provided; ideal for a student wanting community service hours, under the supervision of a senior volunteer. Commitment: can be as little as one time, or more frequently. Lead volunteer to coordinate Kanata Nordic Site Signage, and mapping / trail marking of the ski trail system. Will have help/guidance of experience volunteers to plan and order the signs. Role Type: Lead volunteer; onsite and offsite. Task: Installation of signs and Mapboxes. Commitment: 1 year, but can continue forward. We have a great group of little skiers waiting to hit the trails. This year we are in need of Leaders & Assistants to fill this need. If you love to have fun in the snow this is a very gratifying and needed volunteer opportunity. We are in need of a volunteer who would be able to coordinate the Hot Chocolate break. It could be a role supported by a committee / additional volunteers. Assistant coach for the teen ski fit program. Sharing the instruction duties in teaching the skate ski technique. Kanata Nordic’s new community program aims to lower the barrier to winter fitness for all by introducing snowshoeing and cross-country skiing to Ottawa residents who would not otherwise access these activities. We know that outdoor activity levels are much lower in winter, and how important fresh air, exercise and community are for physical and mental well-being. For many, the initial cost of equipment and not knowing how to start are deterrents, particularly amongst newcomers to Canada and and lower income sectors. In our first year (winter 2019) we hosted participants from Burundi, Egypt, India, Indonesia, Sri Lanka and Syria. Skills Needed: For the planner, general administrative skills to research and reach out to community groups who may benefit from this program. Training and guidance provided. On-snow volunteers should be confident skiers or snowshoers, comfortable helping with children and adults. Knowledge of the Kanata Nordic trails is helpful. Time Commitment: For the planner the commitment would be for several months, for an hour here and there, and onsite for the sessions. For the on-snow volunteers the commitment is for a single session, generally about 2 hours. The sessions could be weekday afternoons, early evenings or on the weekend. Dates are to be determined. Time Commitment: A fundraising activity might only take a few hours. Helping with a grant would range from several hours to several days worth of effort, spread over weeks or months. The lead position for these activities would require a few hours each month over most of the year. Support for Snow Day 2018, taking place Sun Jan 21. Various tasks needed and opportunity for multiple volunteers. Time Commitment: a few hours before; 1 or more hours during the event. One-time event support onsite and offsite options. Day of the event help is needed onsite; mostly light organizational stuff and also facilities work like preparing a bonfire, moving some tables, etc. We are striving to be a more bilingual club, and require someone with good written French to help with our pprinted materials: maps, signage, brochure, etc. Original material will be written in English. Skills Needed: Good level of written French proficiency and familiarity with general xc skiing and trail terminology. Key Responsibilities: Translate English text into French. Time Commitment:Most of the need is later summer and early fall; can be done anywhere. Looking for a few photographers to take pictures throughout the season! Skills Needed: Medium photography skills and a camera. Key Responsibilities: Take a range of photographs and share. 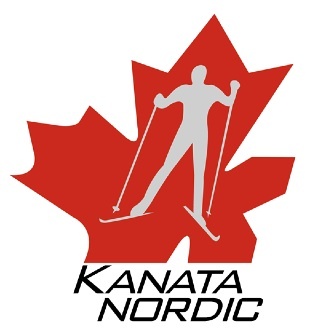 Additional volunteer opportuniteis will be shared throughout the season, including opportunities for high school students to gain Community Service hours with Kanata Nordic. Or you may have an idea of a role you can fill that we have not thought of before. To find out more or pass on your ideas, please contact volunteer@kanatanordic.ca.